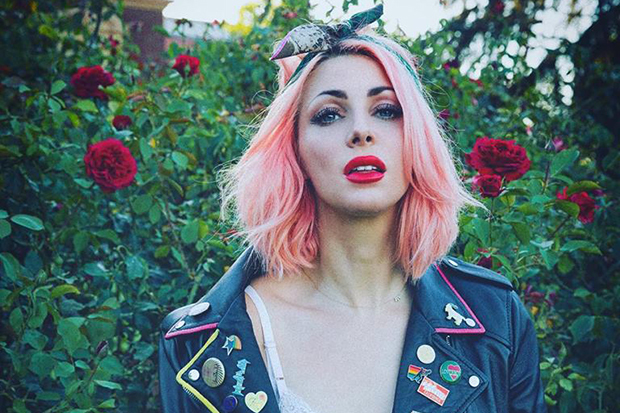 Bonnie McKee Is Releasing A New Single Called "Thorns"
After promoting her Bombastic EP for over a year (each song got an amazing video), Bonnie Mckee is finally rolling out new material. The songwriting queen, who penned “Teenage Dream” for Katy Perry and “Hold It Against Me” for Britney Spears, just announced a new single called “Thorns.” The track drops on Friday (August 18) and promises to be a change of direction away from the ’80s-influenced electro-pop of her recent singles. “There will be a full length, or you know what, there’s a possibility I may just do EPs and be like, ‘Here’s a batch, here’s a batch, here’s a batch.’ They could all be totally different, there are no rules.” I guess we’ll know more later this week. Regardless, “Thorns” is destined to be yet another bop. Are you excited for Bonnie’s new single? Let us know below, or by hitting us up on Facebook and Twitter!